News keeps getting worse for the hands at the Darwin Ranch down Deception Pass way. Trying to deny science related to dinosaur soft tissues and still believe in long ages is downright difficult, but they make a serious effort. 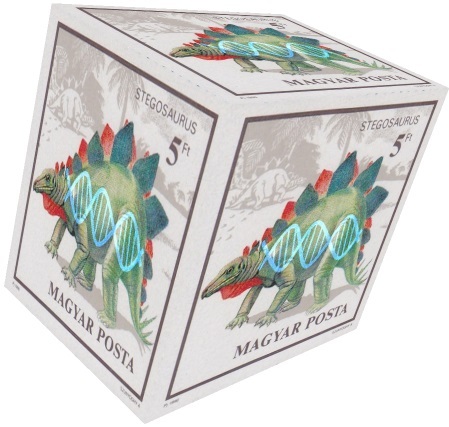 Now the prospect of actual dinosaur DNA is becoming more of a possibility. Some evolutionary scientists are being confronted with a choice: the narrative that dinosaur fossils are multiple millions of Darwin years old (which is based on assumptions), or the scientific fact that DNA degrades rapidly, and cannot for long periods. Secular scientists are loathe to admit that facts show the earth was created recently because minerals-to-mastodon requires those long ages. According to Dr. Adrian Lister, a British paleobiologist, DNA cannot survive in dinosaur bones because dinosaurs lived far too long ago for their DNA, which is inherently unstable, to survive to the present . . .
To read the entire article, click on "Dinosaur DNA Trumps Mammoth Expert".